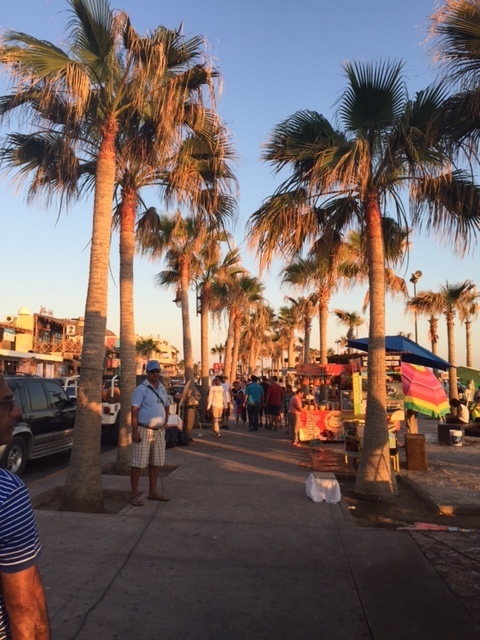 Over the weekend my husband and I took a vacation with the family to Puerto Penasco, Mexico (also known as Rocky Point). The drive wasn’t too bad – about four hours from Phoenix area. 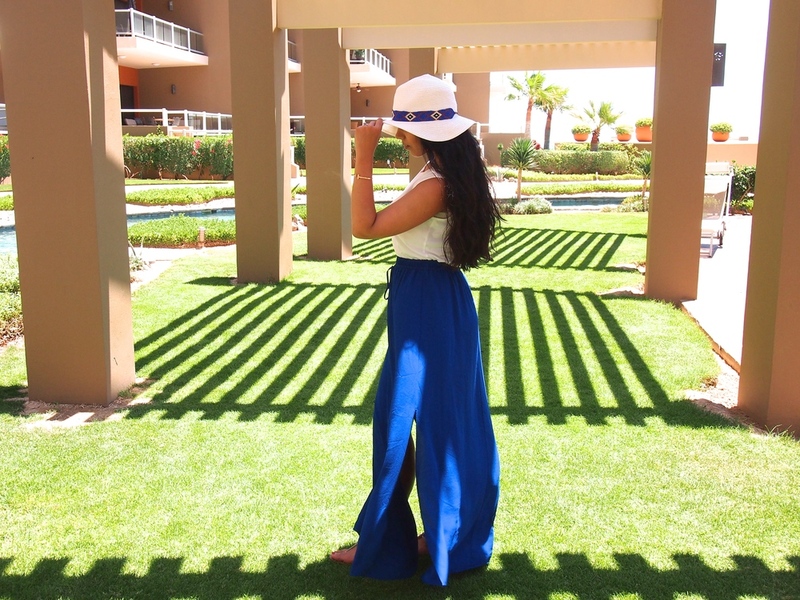 We stayed at the Las Palomas resort which was amazing! So a little more about the resort. At the resort we had a two bedroom suite, two huge bathrooms (complete with standing shower and jacuzzi), a large eat-in kitchen with all appliances, ginormous living area, and an extremely large balcony with plenty of patio furniture which overlooked the beach. Everything was so clean, meticulous, and well decorated. It truly felt like a high-end experience. We had an amazing view of the beach. I loved going onto the balcony with my cup of coffee and just looking out at the water. After breakfast, we hung out by the beach and ventured into the water which was some of the clearest I’ve ever seen. I also tried the banana boats (my first time) which was so much fun and quite the experience! It was fun hanging on and trying not to fall off! The vendors down by the beach also sold mango and pineapple which had seasoning on it and it was quite yummy! In the afternoon, we hung out by the pool. 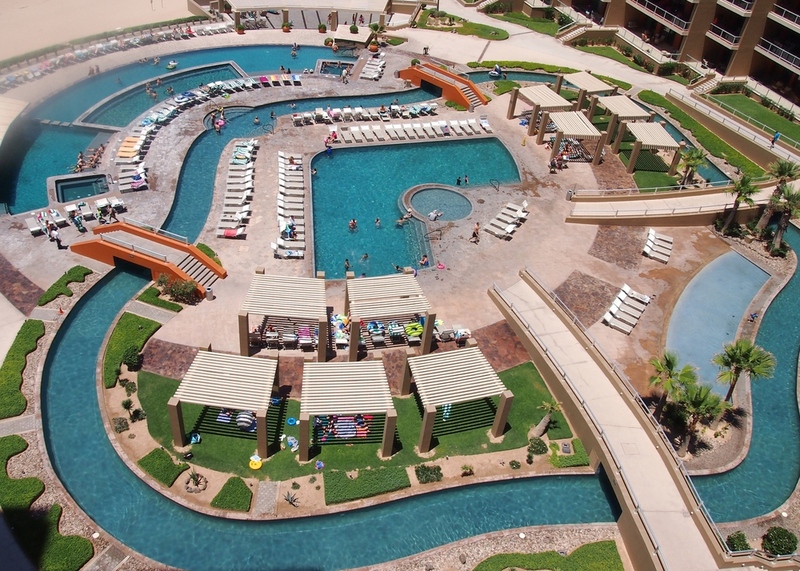 There were two sets of pools both were extremely large and had the swim up pool bars. You HAVE to try the pina coladas there - probably the best I've ever had! At night we drove into town and enjoyed the sunset. There were alot of vendors selling souvenirs and many restaurants and street food! On Sunday, we checked out the brunch. It is totally worth it especially if you like mimosas which were unlimited and the omelettes were amazing. After that we went to a Mexican restaurant and started our journey back to Phoenix. Overall, I can’t wait to go back and would highly recommend this resort to everyone!